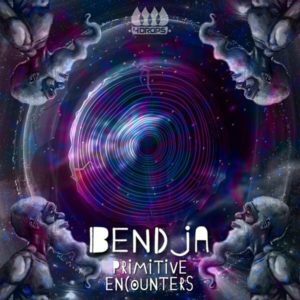 Composed in 2017 in the mountains of southern France and released by 4Drops Records, Primitive Encounters is the second release from psytrance artist Bendja. Gathered here are four songs, each corresponding to imaginary lands, aiming to share the love of psychedelic music and enlighten the forgotten tribes of our world. Lively, organic, and experimental, these songs mix synthetic sounds with live instrumental performance, breathing deeper into the ecstatic dance. Mastered at the Stooodio with artwork by Ben Dja. MP3 Download | FLAC Download | WAV Download · Download count: 12,581. Wow! Go Bendja! Great sound design and overall recording quality, interesting trajectories to the songs, so they keep your interest without breaking the flow, tasteful mastering job, AND this ep just plain rocks! Boom dugga boom dugga BOOM Shankar! De la pure dynamite !!! This is absolutely superb! Deep, psychedelic and artistic, just the way I like ’em. Thank you for this wonderful release.